How do I Make a Backup of my Site's Design? 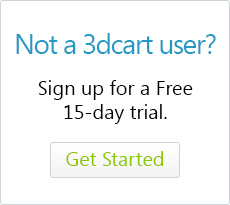 Your 3dcart Themes and templates can be fully customized by 3dcart Merchants in order to achieve a certain look and feel..
Because of this, it's usually a good idea to keep a local and backed up copy of your theme folder on your local computer. This way, you can recover any subsequent edits that may have adverse effects on your site and you'd like to revert it back to a previous working version. Navigate to the web/assets/templates folde via FTP. Should the need ever arise to recover your theme folder from back up, simply take the backed up folder and re-upload it (via FTP) back to your web/assets/templates folder to overwrite any subsequent changes made to your design after the back up was made.